The good folk at Rockstar Sydney were recently kind enough to traverse the ditch and show off some of Rockstar’s upcoming wares. The games on display included the new GTA IV episode, Ballad of Gay Tony, the PSP port of Chinatown Wars, and a music venture with superstar producer Timbaland entitled Beaterator. I’ll get to each of those soon, but first I thought it fitting to start with the title that impressed the most: Red Dead Redemption. 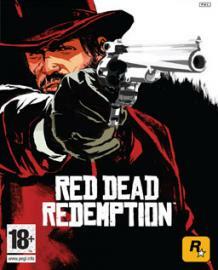 Redemption is a sequel to Rockstar’s 2004 western shooter Red Dead Revolver. If you haven’t heard of the original you’re certainly not alone, and if you have then the prospect of a sequel probably isn’t all that exciting. Revolver was a fairly humble effort, heavy on atmosphere and very little else; in fact its only really noteworthy aspect was a wonderful score by legendary composer Ennio Morricone. Why, then, such excitement over the sequel? Partially because I’m a massive western geek and it’s nice to see the genre getting a little play, but mostly because Red Dead Redemption is only a sequel by the very broadest of definitions. In terms of scope and ambition Revolver and Redemption seem to have little in common bar the naming scheme. Redemption features the open-world gameplay popularised by GTA, with the desolate plains and rocky vistas of the American frontier forming one the largest sandbox game worlds yet seen. Comprised of three distinct sprawling sectors, the Frontier, the Plains and Mexico, the game’s dusty environment is purportedly even larger than the urban sprawl of GTA IV. Of course a bustling metropolis is a far cry from the sun-drenched stretches found in turn of the century American West, and while the basic properties of Redemption’s map are similar to GTA the actual content is completely alien. An early build demonstrated huge, oppressive open spaces that stretched away impossibly into the distance, littered with flora and wildlife but mostly lacking any real sign of civilization; this frontier is a dangerous place not conducive to easy human existence. Where an inescapably huge cast of citizens populated GTA, it is the ruthless inhuman citizens of the desert who fill Redemption’s forbidding landscape. The game will eventually host a vibrant ecosystem of assorted critters, all interwoven in an intricate net of predator and prey relations. On my brief tour of the Frontier I saw wild dogs bounding about the hills, rattle snakes spring from bushy hideaways, and towering wild horses powerfully trampling the desert foliage beneath mighty hooves. Apparently we can expect some seriously sophisticated behaviour in the animals of Redemption, even in excess of their modern human counterparts in GTA. One scenario that was mentioned described possible interaction with wolves; should a lone wolf encounter an armed human on horseback then that animal will react defensively, not daring to advance into an unwinnable scuffle. However should one be foolish or unlucky enough to find oneself stranded without horse or gun in the middle of nowhere then it won’t take that wolf long to posse up and have the whole family feasting on an unfortunate corpse. The prospects of such a detailed and sophisticatedly recreated natural environment is certainly an exciting prospect, and will hopefully be delivered upon, but we mustn’t forget about the ever-important human element. Travellers in carriages, on horseback, and on train will be encountered on ones travels, but it is in the various little towns strewn throughout the map that most interaction will be found. The rustic township I had the opportunity to peruse looked like a dead ringer for the set of Deadwood (I’m almost certain the saloon was modelled directly off The Gem), the huge effort that has been paid to detail is instantly clear. While the town wasn’t exactly in a fully functional state I was able to view a single example of what I expect will eventually be a vast array of activities to be undertaken while in camp. A simple timing minigame game offered the chance to gamble on a round of Five Finger Filet, that classic miscreant’s game of stabbing a knife into the gaps between ones fingers as quickly as possible. A fun diversion but no great improvement on the similar sidetracks found in GTA. The game’s plot covers that fascinating end-of-an-era period in which technological advancement and overbearing government were slowly eradicating the hitherto uncivilised wild west. Players will step into the boots of semi-reformed outlaw John Marston who is being manipulated by unscrupulous government agents into doing their dirty work and rounding up those dangerous criminals who still desperately cling to the old ways. The story sounds perfectly in line with the grubby revisionist westerns that still crop up every now and then these days, expect a healthy dose of moral complexity that will hopefully somehow be echoed cleverly in the title’s gameplay. A brief handful of missions were demonstrated to covey how the game’s primary action is likely to play out, and that seemed to be more or less what one would expect in the context. Classic shoot-outs look like they will feature most prominently in missions, hopefully through a more capable system than what GTA IV was able to offer. One of the very few aspects imported from the earlier Red Dead Revolver is the ‘Dead Eye’ mechanic, which gives the shooter an opportunity to slow time, aim as precisely as desired, and then unload all chambers in quick succession. It worked in a pretty sloppy fashion in Revolver, hopefully it won’t be quite such a crutch in Redemption. Sure does look cool though. The game seems set to take players through just about every conceivable set piece in the western vernacular, from stagecoach robbery to a last minute hanging rescue, horseback shootouts to a Gatling gun massacre. The people behind the scenes certainly seem to know their Westerns; I wouldn’t be surprised in fans of the genre found themselves participating in missions suspiciously similar to various classic film scenes. Red Dead Redemption is being developed by Rockstar San Diego, the cats behind open-world racer Midnight Club and the developers of the RAGE engine used in almost every Rockstar Games title of note. The game also utilises the Euphoria engine, which will allow the hoopleheads and wildlife of Redemption to take on convincingly realistic properties. So if the fantastic, underused western genre isn’t enough to tempt you (and sadly, that seems to be the case for far too many people these days), then the title will boast a level of technical proficiency that ought to appeal to gamers across the board. Rockstar don’t seem to have been quite as vocal about Red Dead Redemption as the game would appear to deserve, but I imagine that will change as we edge closer to that early 2010 release date. This one may well catch may by surprise, so do yourself a favour, stay ahead of the curve and keep an eye on this bold looking gunslinger.